Bruce Banner became a green behemoth with incredible power after being exposed by gamma radiation. Like most super heroes, The Hulk is one of the most wanted targets to the US Army. 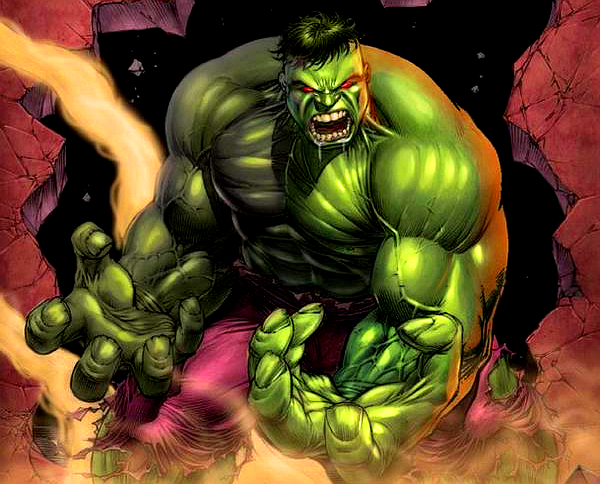 The Hulk’s strength is limitless because he becomes stronger with the level of his rage. 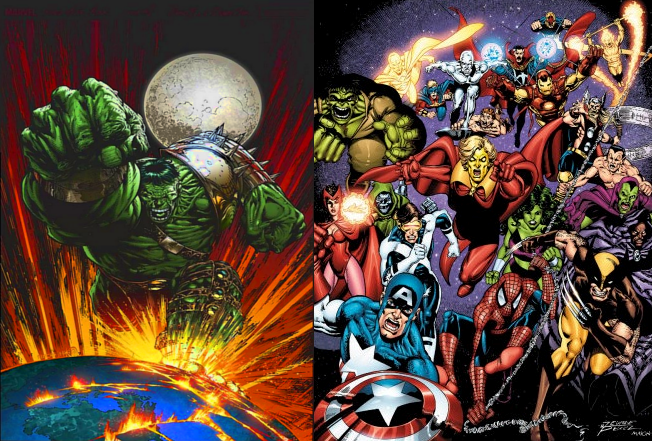 Super teams such as The Avengers have a hard time stopping The Hulk head on…. Hulk was exiled from Earth, only to return as a super strong monster with revenge on his mind as the World War Hulk. Despite being viewed as a raging monster, Hulk has also been apart of Marvel’s greatest heroes to battle Thanos in The Infinity Gauntlet. 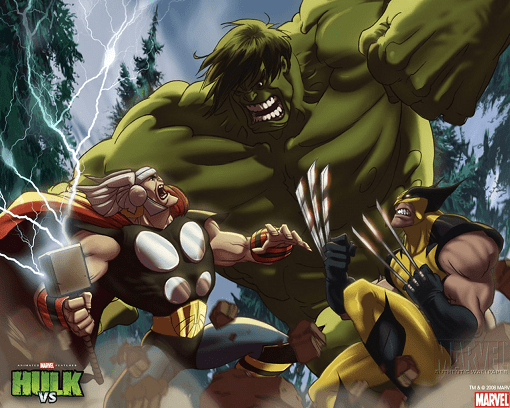 Wolverine and Thor are among many who has battled the Hulk in the comics. These battles later evolved to the animated film Hulk Vs. In the Old Man Logan comic book series, The Hulk finally met his end to Wolverine. The Hulk is a favorite topic of discussion, especially when it comes down to crossover battles such as Hulk vs Superman or Hulk in the Red Lantern Corps. Very popular topics of discussion only to leave comic fans to think what if. 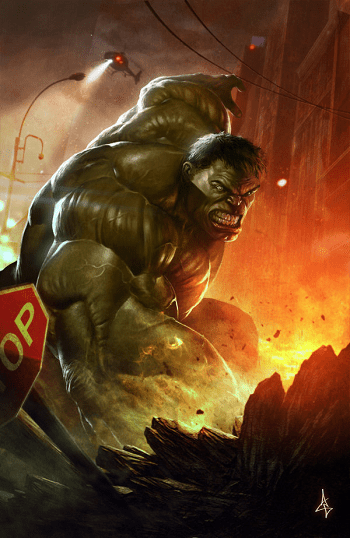 Is the Incredible Hulk truly unstoppable? The Hulk has his two major films, the 2003 The Hulk and the reboot version 2008 The Incredible Hulk. Bruce Banner was portrayed by Eric Bana. The 2008 film was a reboot with the help of Edward Norton. Now a new variation of the Hulk came in the 2012 , 2015 , and 2018 films of The Avengers which was portrayed by Mark Ruffalo. Which Hulk did you like the best on the big screen? Comic Multiverse fan favorite artwork of The Hulk goes to DeviantART artist, codename: Atzinaghy. Excellent work!